No one in the government has yet explained how Petsitis went from being a waiter with an annual salary of about 5,000 euros to representing the PM’s office in dealings with a huge state company. After a barrage of press reports about the relationship of PM Alexis Tsipras’ right-hand-man, Digital Policy Minister Nikos Pappas, with a Cypriot lawyer for offshore companies named Artemis Artemiou and with a childhood friend of his who acted as intermediary between the government and the state-owned DEPA gas company and convicted felon and businessman Lavrentis Lavrentiadis, Tsipras is showing the first signs of distancing himself from one of his closest associates. “I don’t know about the relationship between Nikos Pappas and Artemis Artemiou,” Tzanakopoulos told a press briefing today, essentially cutting loose from Pappas and allowing the top minister to fend for himself. Essentially, Tzanakopoulos indirectly acknowledged the ties between Pappas and Artemiou (see photo) but explained that they have nothing to do with the PM’s office or government business. No one in the government has yet explained how Petsitis went from being a waiter with an annual salary of about 5,000 euros to representing the PM’s office in dealings with a huge state company and amassing about 200,000 euros. 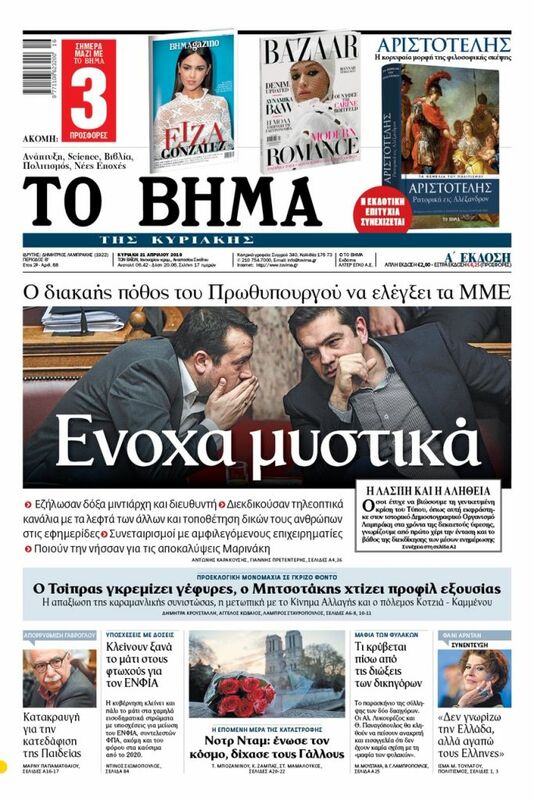 Those in the know say that a power struggle has long been simmering in the PM’s inner circle between Tzanakopoulos and Pappas, but obviously the spokesman and State Minister was speaking on behalf of the PM. The affair has caused a political maelstrom that has lasted for weeks, seriously injuring SYRIZA and the PM personally. At first, Pappas falsely claimed that his schoolmate Manolis Petsitis fell out of touch with him after SYRIZA came to power in January, 2015. Then, belied by a video that showed Petsitis at the PM’s office on the night of the disastrous July, 2015, referendum on the bailout deal, the line was that Petsitis left the milieu of the PM’s office after the second general election of 2015, in September. 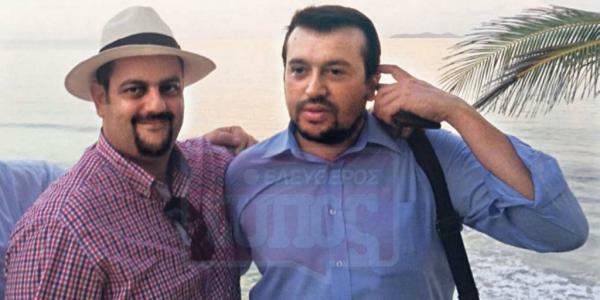 In 2013, when SYRIZA was still in the opposition, Pappas traveled with Artemiou to Venezuela on the private jet of a Lebanese-Venezuelan businessman. The purpose of the trip was never thoroughly explained by Pappas.